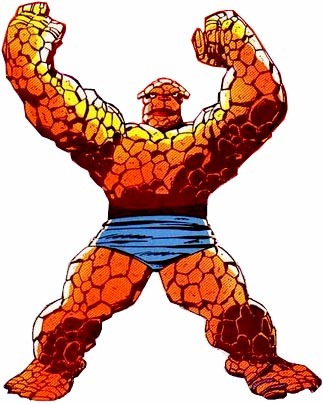 Religion and Characters in Cerebus #56 (Nov. 1983): "Something Like an Origin"
"The Lunk" of the "Fanatic Four" is a parody of Ben Grimm (The Thing). "The Humane Touch" is a parody of the Human Torch. "Mr. Fanatical" is a parody of Reed Richards (Mr. Fantastic). 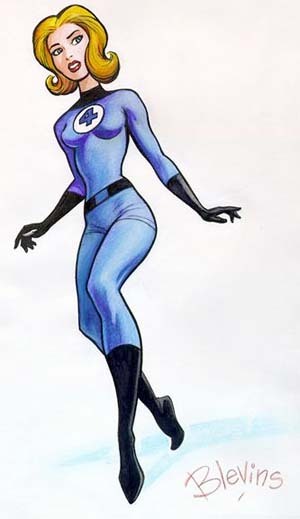 "Helpless Woman" of the "Fanatic Four" is a parody of Susan Storm Richards. 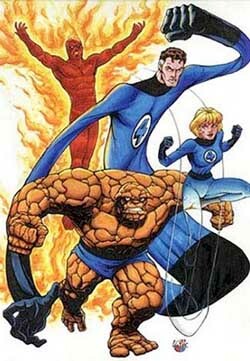 The "Fanatic Four" is a parody of the Fantastic Four. The process of listing characters who appeared in this source is not yet complete. This story was indexed from secondary sources only. The character list above is not necessarily comprehensive. Webpage for Cerebus #56 (Nov. 1983) created 29 April 2013. Last modified 26 December 2013.